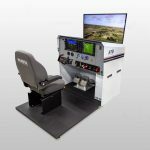 FRASCA International, Inc, Urbana, IL has contracted with HNZ Group Inc. Montreal, Canada for the supply of an AS350 Level 7 Flight Training Device. 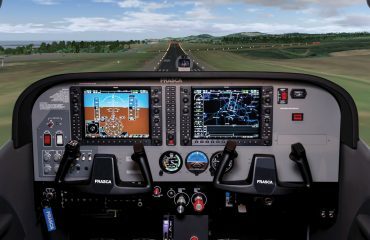 The FTD will be convertible between three different configurations of the aircraft including the AS350B2 analog instrument panel, the AS350B2 VEMD instrument panel and the AS350B3e VEMD instrument panel. 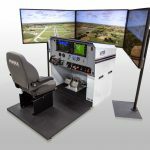 This will be the first Level 7 Flight Training Device certified in Canada. The AS350B FTD will be installed inside the airport terminal at Edmonton International Airport and will be used for initial and recurrent training for pilots flying demanding missions in remote areas of Canada. It will also be made available for training use by other Canadian helicopter operators. 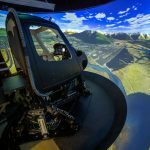 Features of the FTD include FRASCA TruVision™ Global visual system with projection display in a totally enclosed spherical screen (200° x 70° field of view). Databases including the Edmonton area and specialized training scenarios at various locations in Canada will be provided. 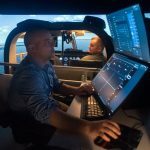 The FTD will also include a vibration platform, Graphical Instructor Station (GISt™), and cargo mirror simulation. “It is gratifying to announce this innovative project with Canadian Helicopters. Their plan to incorporate this advanced FTD into their program will enhance training and improve safety. This program should become a model for other helicopter operators throughout the world. 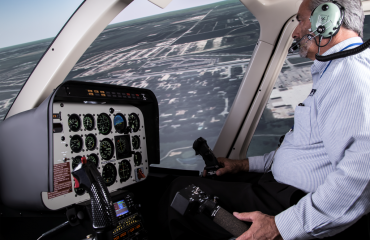 We also see great potential to expose simulation and aviation safety to the general public as result of the simulator being located in the Edmonton International airport.” stated John Frasca, President of FRASCA International. ABOUT HNZ GROUP INC. HNZ Group is an international provider of helicopter transportation and related support services with operations in Canada, Australia, New Zealand, Antarctica and Southeast Asia. The Corporation operates in excess of 120 helicopters in support of a range of multinational companies and government agencies including onshore and offshore oil and gas, mineral exploration, military support, hydro and utilities, forest management, construction, air ambulance and search and rescue. In addition to charter services, it provides flight training and third-party repair and maintenance services. HNZ Group is headquartered near Montreal, Canada and employs approximately 700 personnel from 34 locations around the world. The Corporation operates from fixed-base locations as well as from temporary locations, commonly referred to as “pool locations”, and provides helicopters in a wide variety of climatic conditions and terrain across the globe.